Bundle up your bundle of joy in Bubba Blue – an Australian-owned company that has been bringing bubs across the country some of the sweetest linens and accessories for over twenty years. Made from the finest (and softest!) fabrics around, Bubba Blue’s range is also adorned in their signature: adorable, dreamy little prints that mums, dads and little ones will all love. 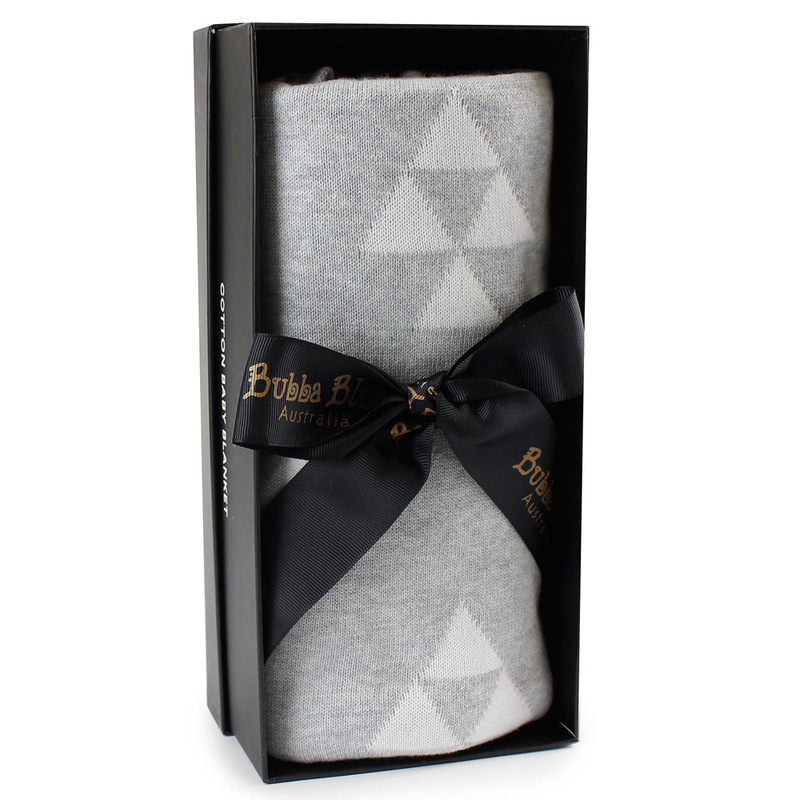 This blanket is crafted from premium cotton and is adorned with a striking contemporary design. Presented in a Bubba Blue gift box. Dimensions: 110cm (l) x 90cm (w).